Is there another way for the story to end? When Lucas saves Martha from falling down the steps of the cinema after a screening of The Great Gatsby, it ignites an attraction between them that is as compelling as it is forbidden. Throughout their subsequent affair the lovers become entranced by the classic story that first brought them together and, during their rare and precious afternoons together, Lucas reads Martha extracts from the book. 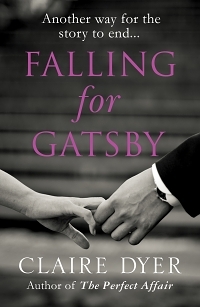 However, as with Gatsby and Daisy’s relationship, Martha and Lucas’s meetings are fraught with danger and uncertainty. Is their love affair destined to mirror the course of the novel, or is there another way for this story to end?